Ex-Republic of Ireland international and talkSport host Tony Cascarino has said that Tottenham's ability to "go long" gives them an edge over rivals Liverpool as it's something the Red's "don't have." 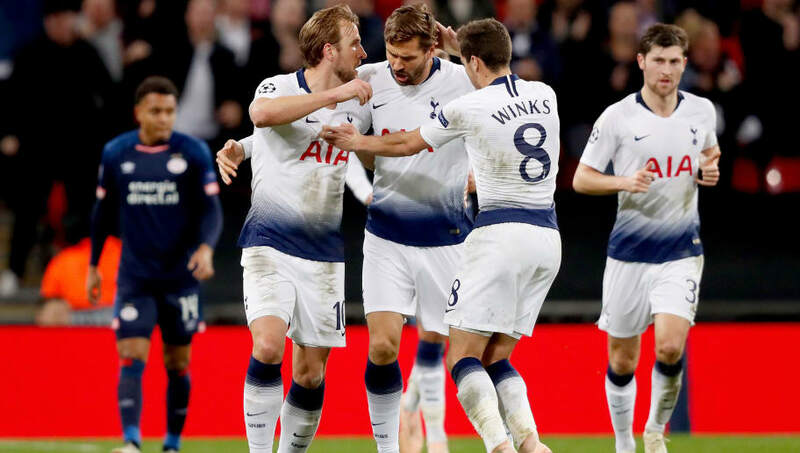 Mauricio Pochettino brought on striker Fernando Llorente after 75 minutes at Wembley - preferring the direct route after being behind PSV Eindhoven since the second minute, and the switch of style paid dividends as the Spaniard almost immediately set up Kane for the equaliser. Speaking on his radio show, Cascarino said: “The difference between Liverpool and Tottenham last night was that Spurs could go long," he said, as reported by ​HITC. “They went direct, they brought on Llorente alongside Kane and they scored both of their goals from balls which they put into an area where they can cause havoc. Tottenham have that, but Liverpool don’t." Cascarino is no stranger to the 'go-long' style of football. Under Jack Charlton when representing the Republic of Ireland, the long-ball was the preferred style with Charlton alternating between Niall Quinn and 6'3" Cascarino up front. “Jurgen Klopp chooses not to play that way, he wants to stick to playing in the way he thinks they’re best at, which is his right," added the radio host. The talkSPORT host was a big fan of the way ​Spurs were able to change their approach against PSV Eindhoven on Tuesday night. Pochettino's men found themselves 1-0 down after just two minutes through a Luuk de Jong header and were throwing everything they had at the PSV, but the Dutch outfit kept getting bodies in the way. With 15 minutes until the final whistle at Wembley, and Spurs' Champions League hopes on the line, Fernando Llorente was thrown into the mix. The rarely-used Spanish striker provided the assist with a flick for ​Kane's equalising goal which capped a fine cameo display. Cascarino felt this showed the difference between Spurs and ​Liverpool as he believes Jurgen Klopp's Reds lack the option for the shorter route - preferring to stick with their chosen short passing brand of football consistently.